VanOaks Cemetery is not a maze or a play, but instead a beautiful and ghostly yard display. 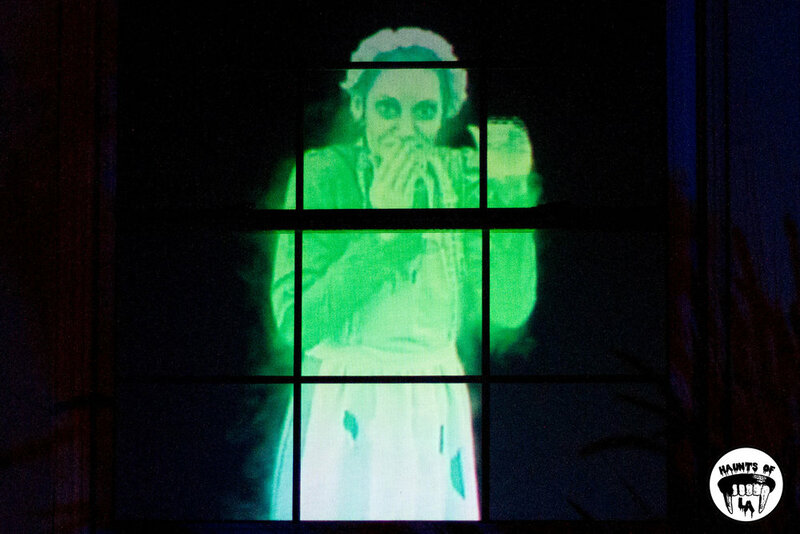 Its tombstones slowly move while ghostly figures haunt the windows of the house behind it. Flashes of lightning illuminate the graveyard, allowing the viewers to see clearly the details of the cemetery. Low rolls of thunder and the sounds of crickets heighten the mood, while a large shrouded figure stands guard over a grave. The execution of this display is simple and reminiscent of the now defunct House Of Restless Spirits. If you are in the Van Nuys area, perhaps checking out Spooky Hallow, then make a stop by VanOaks Cemetery to soak in the beauty of Halloween.